Now, applications requiring polypropylene or polyester felt filter bags can take advantage of the all-welded construction afforded by Big Brand Water Filter patented SENTINEL Filter Bags. These bags, made from silicone free materials feature super-strong welded construction rather than sewn seams. This construction ensures that nothing by-passes the filtration media through holes in sewn fabric. All SENTINEL Filter Bags utilize the patented SENTINEL seal. Its all plastic, polypropylene, polyester or Santoprene construction, provides a flexible, chemically resistant seal which adapts to any filter housing. This unique design employs a pressure activated sealing lip which responds to increases in differential pressure. As the pressure increases, the seal of the ring improves, insuring by-pass free performance over all ranges of pressure, temperature and micron rating. 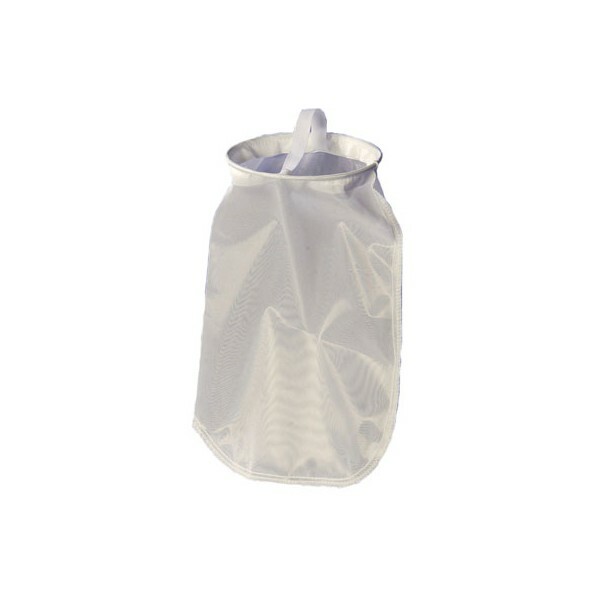 The elevated bag handles make removal of the bag from the vessel quick and easy. When a SENTINEL Filter Bag is installed into an Big Brand Water Filter Filtration Housing, the ring snaps into place, holding its position until the housing is closed.